Many new patients have lots of chiropractic questions, the most frequent can be found below with corresponding answers. Chiropractors locate, correct and prevent spinal malfunction (subluxations) and nerve system interferences, usually by adjusting the spine. This helps to restore the body’s own healing ability, allowing it to function better. A subluxation is when the delicate balance of normal movement in your spine is disrupted. It consists of a combination of poor inter-vertebral segment movement, spinal nerve irritation and altered muscle tension. The chiropractor uses a carefully directed and controlled pressure in a precise direction to a joint that is not moving properly. Many different ways. There are literally over a hundred different chiropractic techniques. A chiropractor may adjust using their hands or use an instrument or blocks/wedges to improve spinal function. It may be a quick movement or slow constant pressure, sometimes only one area may be adjusted and sometimes the entire spine will receive attention. Similar to a knuckle cracking, or the top taken off a jar, it indicates the joint has separated slightly and a change in pressure releases normal fluids and gases in the joint. The importance of an adjustment is to reinstate spinal and nervous system function, not to make a ‘popping’ sound. Some lighter adjusting techniques do not result in a popping noise. In the beginning you may need more frequent adjustments in order to mobilise your spine and improve spinal function – this will usually result in the relief of an ache or pain. The frequency of your visits is reduced as you improve spinal function and your body heals into an improved pattern of function. Ongoing chiropractic care can continue the healing process and help prevent your problem returning. Healing takes time and differs from person to person. Each patient's care programme is tailored to their needs. This varies from individual to individual, the time the patient has suffered and their rate of progress. 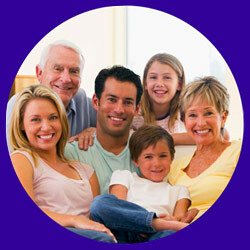 The Report of Findings appointment explains in detail your care plan and recommended schedule.